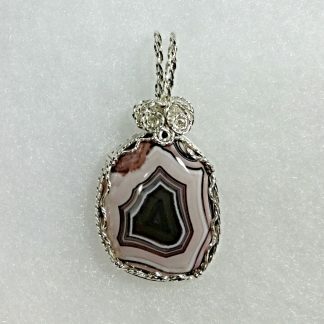 You cannot add "Banded Onyx and 14/20 Gold Filled Wire Wrapped Pendant – 11774" to the cart because the product is out of stock. 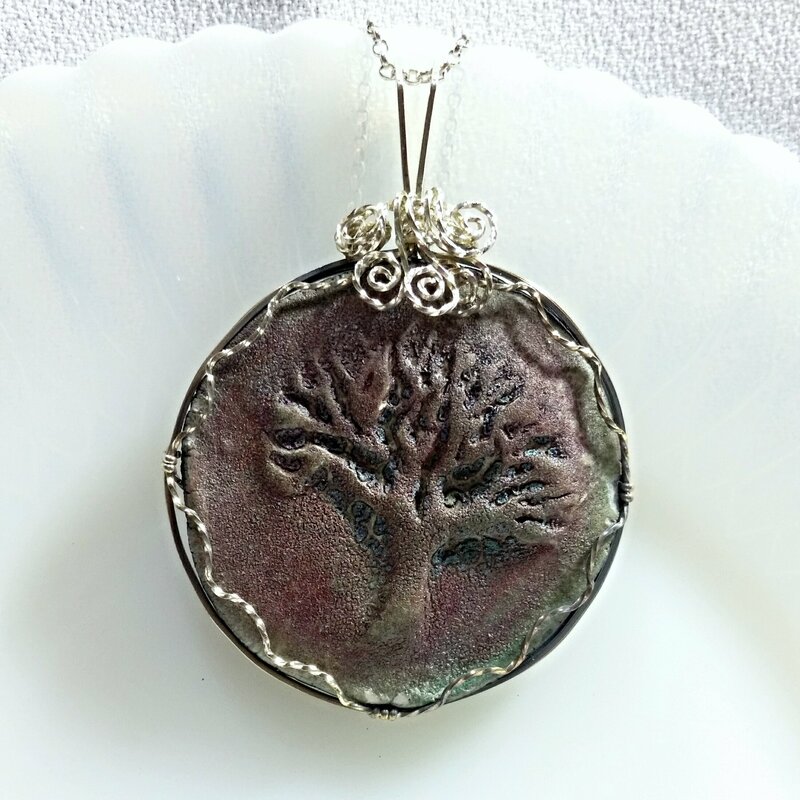 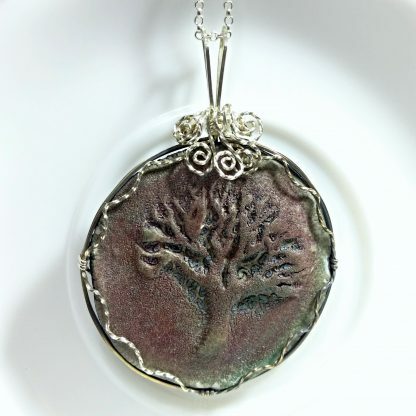 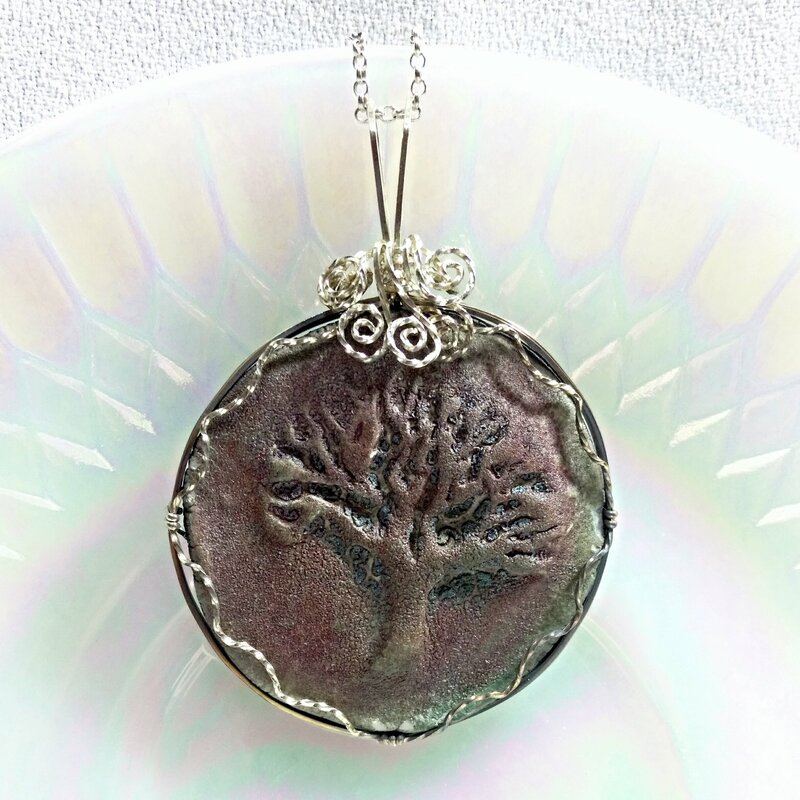 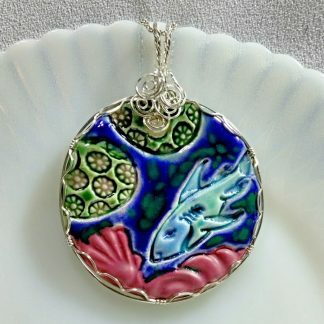 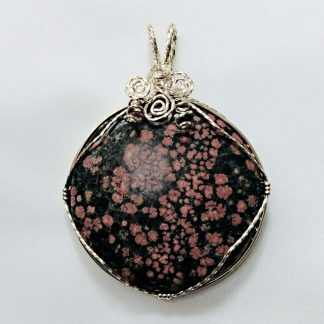 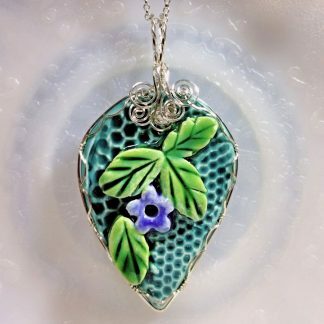 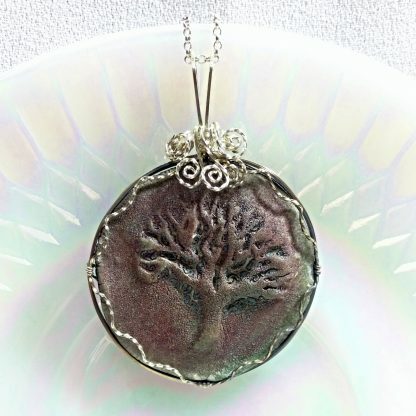 This pendant pictures the tree of life and is made from raku pottery. It is wire wrapped in sterling silver wire. 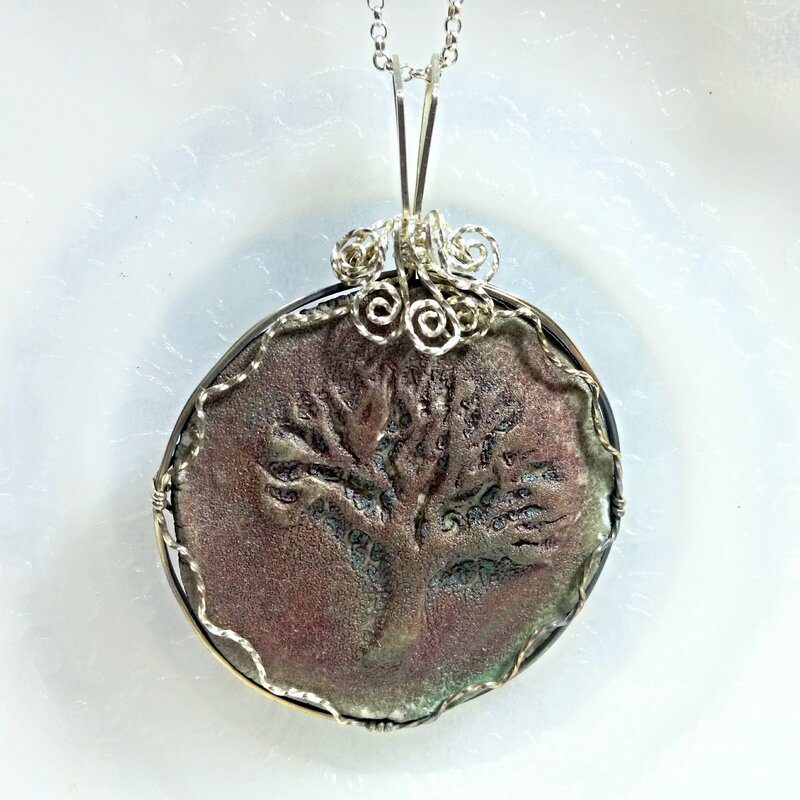 The coloring on this piece is a dark wine color. 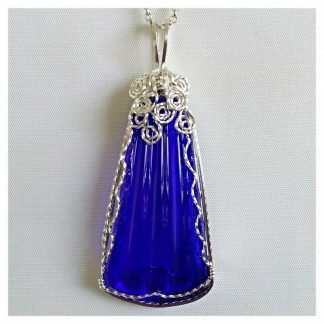 The measurement on this piece is approximately 2 3/8” from the top of the bail to the base and a width of 1 ¾”.